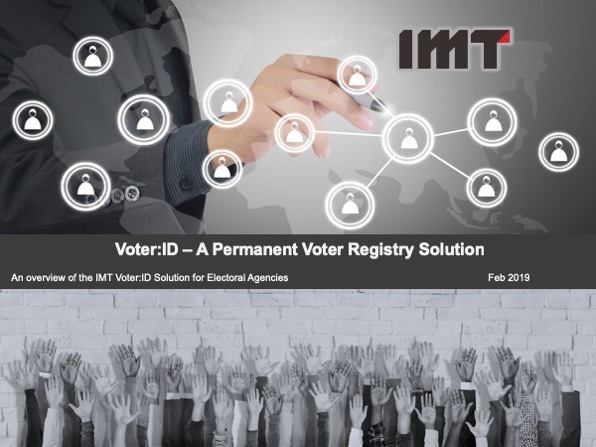 IMT Voter:ID™ uses the power of master data management to create a secure, real-time, permanent voter list with an extremely high degree of data integrity using registration data from elections and government systems. Approximately 1 in 8 voter registrations are inaccurate & ~8% of voters are not on the list. Our proven Registry solutions have dropped these kinds of rates to <1%. We can help. The accuracy and integrity of a voter list in any jurisdiction is a critical element in ensuring that all qualified voters have the opportunity and right to vote. The IMT Voter Registry – Voter:ID, provides a secure and real-time voter list that enables new services such as online registration, fraud detection, reduces cost and time in preparation for an election, and provides better information to voters, candidates, parties and organizations. A single, real-time, authoritative view of each Voter built from government data sources using gold standard match algorithms significantly decreases manual elector revisions and in person adjudications. A powerful workflow engine allows you to quickly deploy new business processes to enhance services to voters and elections workers such as consenting to share your info at DMV, and verifying Voters with a tablet while they wait in line to vote. A rich data stewardship application that reduces data integrity errors to <1% typically while enforcing privacy, governance, and IM agreements. This greatly enhances data quality & integrity and builds strong trust in the Registry by stakeholders. Rich web-services and APIs allow you to Integrate easily to other systems such as a GIS, kiosk, or EVM and to build innovative applications such as an pollbook, online registration, or smartcards for enhanced security. 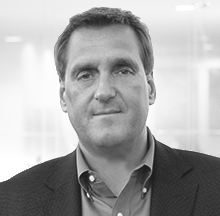 Powerful algorithms for linking and discovering relationships provide the analytics and reports that allow you to discover potential fraud cases such as ineligibility to vote, voting at the wrong polling station, or multiple votes cast. To learn more about Voter:ID view our overview presentation. Could you benefit from a Voter Registry? Creating a voter registry doesn’t have to be painful. Whether you are totally new to Voter:ID or you’ve been working with MDM for years, our client training courses will give you the skills you need.